Joel Cohen is President and Founder of The Cohen Group. Joel has over 35 years of experience in the occupational health and safety field. Joel received his BS from Oakland University in Rochester, Michigan and MPH in Environmental Health from the University of Michigan in Ann Arbor, Michigan. Joel has been certified by the ABIH in the comprehensive practice of industrial hygiene since 1980. He is also certified by the State of California, Division of Occupational Safety and Health as a Certified Asbestos Consultant, and holds all accreditations for asbestos offered by the US Environmental Protection Agency. In 2008, Joel was presented the Fellow Award by the American Industrial Hygiene Association for his contributions to the practice of industrial hygiene. Joel has served on several Cal/OSHA Technical Advisory Committees and sits on the Cal/OSHA Advisory Committee. In 2013, Joel was elected to serve on the Nominations Committee of the American Conference of Governmental Industrial Hygienists. He is frequently called upon to serve as a consultant and expert witness to attorneys involved in civil cases pertaining to negligence, adequacy of warnings, product liability, environmental toxicology, and toxic torts; Workers' Compensation appeals; and, OSHA Appeals. He has co-authored three books on OSHA compliance and more than two dozen technical papers on exposure to hazardous substances in occupational settings. 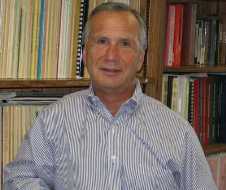 Tim Bormann is Vice President of The Cohen Group, where he has been employed since 1984. 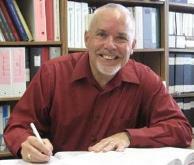 He has over 30 years of experience as an occupational health and safety professional. Tim graduated from University of California at San Diego with a BS degree in biology/physiology and a minor in chemistry. He has been certified by the ABIH in the comprehensive practice of industrial hygiene. Tim is also a Cal/OSHA-Certified Asbestos Consultant and an EPA-accredited asbestos inspector, management planner, supervisor/contractor and project designer. In 2012, Tim was presented the Fellow Award by the American Industrial Hygiene Association for his contributions to the practice of industrial hygiene. Tim has conducted hundreds of inspections and audits for employers in such diverse workplaces as the performing arts, prisons, food manufacturing, healthcare, and construction. He has served as the project manager for several multi-million dollar projects involving the remediation of contaminated building materials. He is frequently asked to conduct employee and employer training programs. Tim frequently serves as a consultant and expert witness to attorneys involved in civil cases pertaining to negligence, toxic torts, Workers Compensation appeals and OSHA appeals in both health and safety matters. Mark Golembiewski serves as Emeritus Senior Occupational Health and Safety Consultant at The Cohen Group and has over 35 years of broad experience in occupational and environmental health. Mark received his BS in Mechanical Engineering from Michigan Technological University in Houghton, Michigan and his MS in Industrial Health from the University of Michigan in Ann Arbor. He has been certified by the ABIH in the Comprehensive Practice of industrial hygiene since 1982 and in Air Pollution Aspects since 1978. Prior to joining The Cohen Group in December 2001, Mark was the Senior Health and Safety Consultant and Corporate Health and Safety Manager for a national underground engineering and environmental consulting firm. He performed numerous health and safety compliance audits for a wide variety of industrial manufacturers and laboratories, and also helped conduct shipboard EH&S audits of 17 vessels for a large cruise ship line. Since joining The Cohen Group, Mark has directed several large-scale projects dealing with environmental health and safety issues, and continues to assist clients on a wide variety of projects. 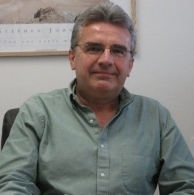 He is currently serving as the EH&S Consultant for a Bay Area biotech company and manages their EH&S program. He has provided consultant and expert witness services in both civil cases pertaining to toxic torts and Workers' Compensation appeals. 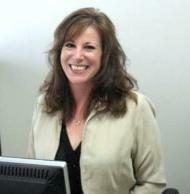 Deneen Barsi is The Cohen Group's Administrator responsible for accounting and the firm's litigation support efforts. Deneen started with The Cohen Group in 1990 and has been involved in all aspects of the company's administration, including contract management, accounting and design/distribution of the company newsletter. In 2007 she took responsibility for the firm's litigation support efforts which include case management as well as paralegal duties.